If you are thinking about retirement, you might visit this website. Ohio457.org offers information about a compensation retirement plan in Ohio. The Ohio Deferred Compensation Program is a supplemental retirement plan. You can log in to your account and use the savings calculator to know more about your retirement plan. Additionally, there are many benefits provided by Ohio457.org when it comes to deferred compensation retirement plans in Ohio. You can browse through this website and log in to your account, and find many resources about savings for retirement plans. Moreover, this site features a savings calculator you can use to check your retirement plan savings account. Feel free to stop by Ohio457.org if you are interested retirement plans. You can learn more about the deferred compensation retirement plan offered in Ohio. 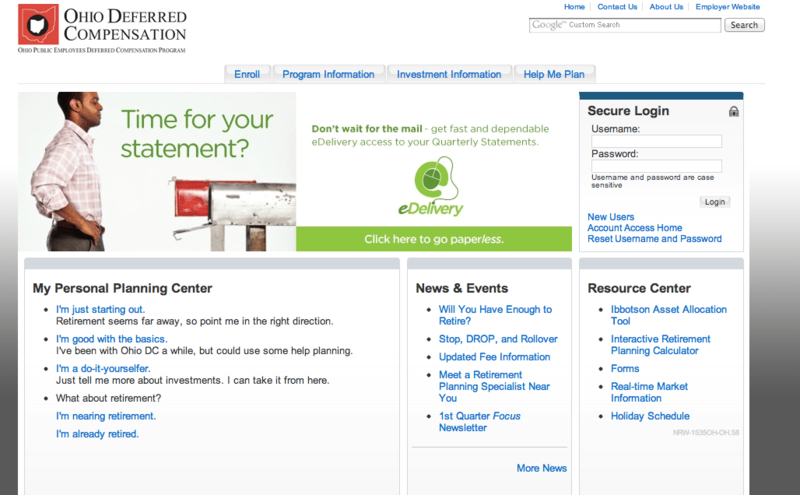 In addition, this site offers a savings calculator, so you can check online your amount of savings for retirement.